Terence 'Khalid' Kelly, the Dubliner who has reportedly killed himself in a suicide attack in Iraq, left Ireland shortly after he was arrested, questioned and released by Garda Special Branch officers in 2015, though he returned briefly earlier this year. Gardai were concerned that Kelly, originally from south inner-Dublin and who converted to Islam while in prison in Saudi Arabia for selling alcohol in 2000, was plotting an attack on Prince Charles during the prince's May 2015 visit to Mullaghmore in Sligo, where his godfather, Lord Louis Mountbatten, was killed by the IRA in August 1979. Kelly had also said at the time of President Obama's visit in 2011 that he believed it would be right to assassinate the US president - but again there was no proof of any conspiracy or of any preparations for an attack. 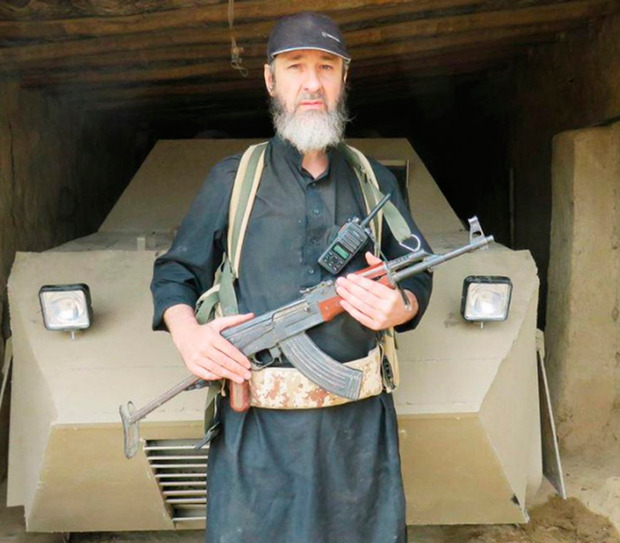 During the raid on the Longford cottage he had rented in 2015, gardai found that Kelly had nearly €30,000 in cash which he was believed to have saved to 'buy' his way into the Islamic State in Syria and Iraq. But frustratingly there was no evidence that he was intending to attack the heir to the British throne and Kelly had no firearms or explosives. He was released after three days of questioning. By this stage of his drift into the Islamist death cult, Kelly was well versed in how to avoid terrorism and conspiracy charges. He was, as one garda source put it, "totally mad, but smart". Kelly disappeared in July 2015 after publicly stating his intention to go to Syria to fight with Isil and is believed to have travelled through Turkey and into Isil-controlled territory in Syria and Iraq. If, as the Isil publicity machine claimed yesterday morning, Kelly had killed himself in a suicide car bomb attack near Tar Afar in northern Iraq, he would have been in one of the centres of the worst butchery and human rights violations in recent history. Tar Afar was one of the main centres where women and female children from the persecuted religious groups like the Yazidis were gathered in what were effectively slave centres to be 'granted' to Isil fighters. Kelly grew up in Dublin's Liberties and became a nurse. While working in Saudi in 2000 he was engaged in distilling and selling liquor and was sentenced to a year's imprisonment. During this time he converted to Islam and began following the Saudi Wahhabist interpretation of the Koran which is shared with the Muslim Brotherhood in Egypt, Isil and the Taliban. He lived in London after being deported from Saudi Arabia and while studying at university began associating with extreme Islamist elements in London and became close to the 'hate preacher' Anjem Choudary, a frequent visitor to Ireland. The two appeared together on The Late Late Show with Pat Kenny in 2003. Newstalk broadcaster Henry McKean made a documentary with Kelly in 2011 and was shocked by yesterday's news of his reported 'martyrdom' on a suicide bombing mission. "There was a calmness [about him]. He was quite a measured guy. He had really thought out what he was going to say. He wasn't hot tempered. He was at peace with himself and his beliefs. "He prayed and he was a true believer but obviously, along the way, he was brainwashed by these militant groups and he allowed that hate and misunderstanding of Islam to take over. "I remember at the time that he named his son after Osama bin Laden - so obviously he was quite brainwashed by the whole movement and then joined Isil," McKean added. "We walked around where he was from, around the Coombe area and the back of Guinness and St James's Gate. There was warmth to him and he was an Irish nurse but he was also disturbed. "There was a lot of hate, confusion and he made some off-the-cuff remark that we are all infidels - because of the way we live our lives in the West. He really did hate what the West stood for, what America and the UK stood for. "I knew he had links to terrorism but I thought he was just a mouthpiece. It is shocking but not surprising because you knew he had it in him."